I have never ventured to cook jackfruit before, until JFI, that is. But this curry is the only form of cooked jackfruit I have had so far. And it happens to be my favourite one. Pala Musu in Tamil means Green Jackfruit. The beauty of this dish is its simplicity. No hard-to-find spices, no elaborate cooking method, what you find in your spice box is what goes into this dish. Onto the recipe now. If using canned jackfruit, drain and wash them. Pulse the jackfruit pieces with turmeric in a food processor until they are shred into bite sized pieces. If using fresh green jackfruit, peel the skin, cut into fairly big pieces and pressure cook them with turmeric for 2 or 3 whistles. Now pulse them into bite sized pieces. In a kadai or skillet, heat oil and splutter mustard seeds. Now add urad dal, curry leaves and red chillies. To this add jackfruit with asafoetida, salt, and sugar. Mix well and finally mix coconut. This is ‘2’ in 1-in-3 jackfruit and my second entry to JFI-Jackfruit hosted by Jugalbandi. 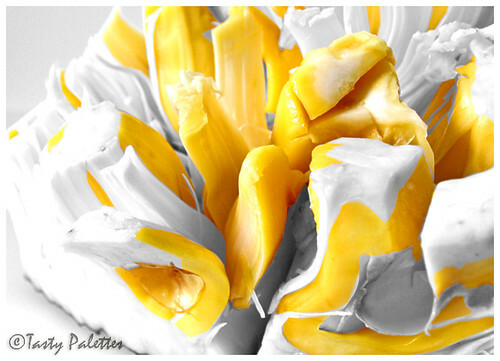 Jackfruit – Aptly called as ‘Gentle Giant’ by Indira. You should be aware that I was on a jackfruit hunt sometime back. Yes, I did make that dreadful trip to the Asian store. Though I couldn’t find incense sticks in the nearby aisles, I went on with the search. All for this month’s JFI hosted by Jugalbandi. I was being modest and searched the freezer section for frozen jackfruit pieces. Nope, no luck. Alright, no JFI entry from me this month :-(. Suddenly a tap from my husband. I find him pointing his finger in one direction. To my surprise, there it is – A whole jackfruit. I was enthralled by what I was looking at for two reasons. One, I will be able to participate in this month’s JFI. Two, its been a long time since I had jackfruit. Armed with the 15-pound fruit and few cans of green jackfruit, I came home with a triumphant smile. I can now post not 1, but 1-in-3 on jackfruit. Gini, I hope this answers your question :-). 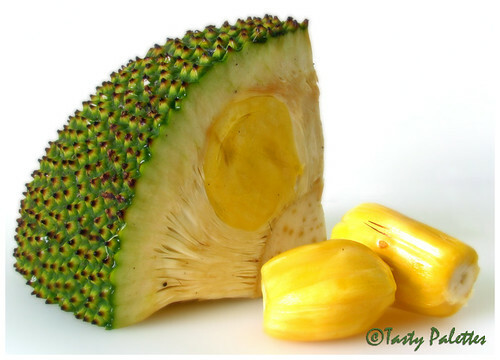 I didn’t know that there were two types of jackfruit until I read Injipennu’s post. Luckily, the fruit I bought was the varikkachakka variety, it was sweet as honey. Working on the fruit was fun too (Of course, with gloves on). The whole house was filled with the sweet smell of jackfruit. I am not going to give you the specifics about jackfruit, its all here. I want to thank Jai & Bee (not only for the incense sticks idea) for instigating me to go look for Jackfruit. If not for you I wouldn’t have had even stepped in that direction. Thanks guys! My entry for this month’s JFI is Jackfruit Halwa. This recipe is from my cookbook encyclopedia Samaithu Paar by Meenakshi Ammal. 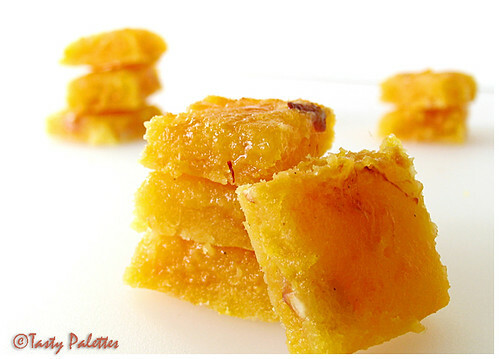 This halwa is not the typical chewy type, but a slightly crunchy one due to the sugar syrup, yet tasty. Mix sugar and ¼ cup of water and make a sugar syrup until it reaches one-string consistency. Add the jackfruit pieces and stir until the fruit gets cooked and blends with the sugar syrup. The mixture should be thick if you want to make pieces. Roast cashew nuts in a tsp of ghee until golden brown. Add this to the jackfruit mixture along with the rest of the ghee and saffron. Take the halwa off the stove and mix elaichi and camphor. Grease a plate with ghee and pour the halwa onto it. Cut into pieces while it is still warm. I have a few recipes up my sleeves for spring-cleaning my refrigerator. You know, that one carrot, those few beans and that half-an-onion lying around in the fridge not knowing what to do. 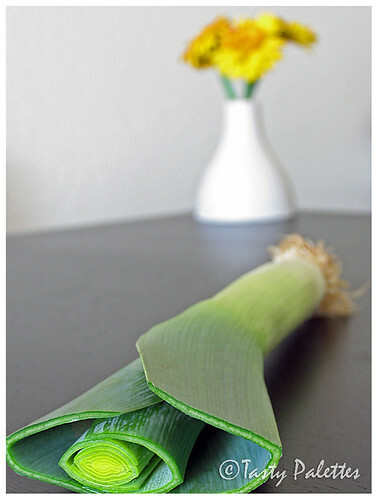 This is one such recipe to make good use of those odd vegetables without wasting them. In truth this is more of a method, than a recipe. 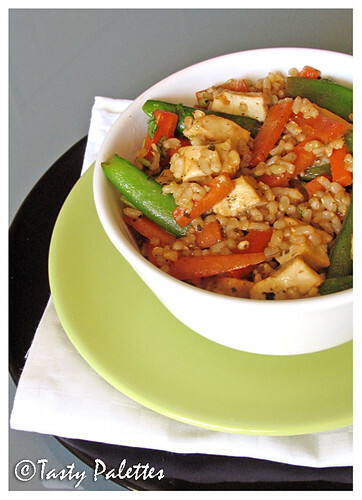 You can vary the vegetables and the spices to suit your taste. To make it interesting, try using different coloured peppers, avoiding the green one. Peppers of each colour will significantly vary in taste - the yellow one is tart, the red sweet and the orange somewhere in-between. 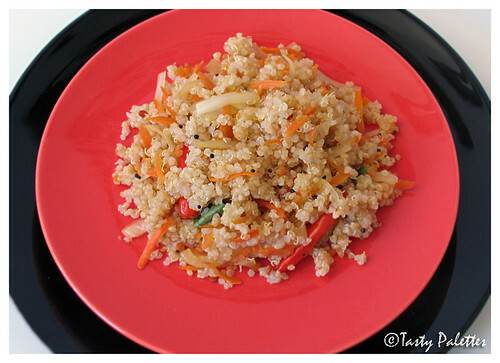 I serve this over couscous or quinoa to take care of the carbohydrate part of the meal. Mildly flavoured rice may also work well with the peppers. Instead of serving the peppers over plain couscous, I have flavoured the couscous with herbs, as I always do. I have also added flaxseeds to make it nutritious. Chopped roasted nuts or roasted garlic clove will also be an interesting addition. Preheat the oven to 350oF. Mix couscous and flaxseeds and cook according to the directions given on the box. Once cooked, fluff the couscous and add chopped herbs. Set aside. Shred the carrot, cut asparagus into rings and reserve the spears. In a skillet, heat a tsp of oil, and add the onion, zucchini, asparagus rings, carrot and garlic and cook gently for 3 minutes. Stir in the tomatoes, tomato paste, salt, chilli powder and ½ cup of water and bring it to a boil and simmer, uncovered for 10 minutes, until thickened. Remove from heat and add cilantro or basil. Cut the peppers in half lengthwise and seed them. Place the peppers in a shallow ovenproof dish and season them with salt and pepper. Fill them with the above prepared vegetable mixture. Place the reserved asparagus spears on top of each pepper halves and sprinkle sesame seeds on top. Cover them with foil and bake for 20 minutes. Remove the foil and bake for another 5-10 minutes. If serving for kids, you can also add grated cheddar cheese at this stage and bake till the cheese melts. 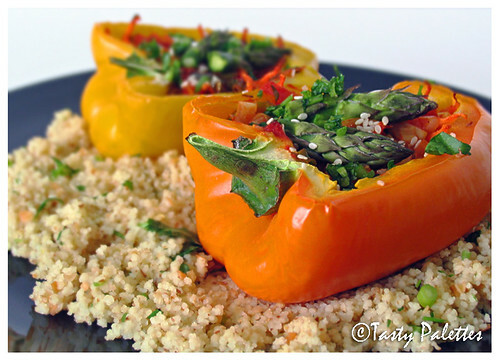 Garnish with herbs and serve over prepared couscous. This is my entry for this month's Waiter, There's Something in My - Stuffed Vegetables/Fruits hosted by Jeanne of Cook Sister. Except for Tirupati and Telugu speaking neighbours, my association with Andhra Pradesh is limited. Andhra avakkai and Gongura chutney were introduced to me by those kind neighbours I had back in India. But G, who had done part of his schooling in Andhra is a die-hard fan of those spicy, mouth-watering (nose-watering too) dishes. It is for him that I started learning new recipes from Mahanandi, Sailu’s food etc,. As an effort to improve my culinary knowledge of this cuisine, I got Cooking At Home With Pedatha from Mahanandi and was happy with the recipes I tried from it. This chutney, from that book, is not only tasty but requires minimal cooking. 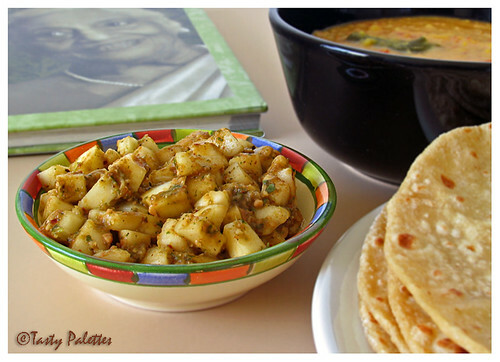 The cool burst of melon and the tanginess from the tamarind pairs well with Jowar roti. I have done some very minor tweaks to the recipe to suit my family’s taste. Peel and chop the melon into small cubes. In a kadai or skillet, take 2 tsp of oil and add urad dal. When dal turns golden brown add red and green chillies, curry leaves and asafoetida. 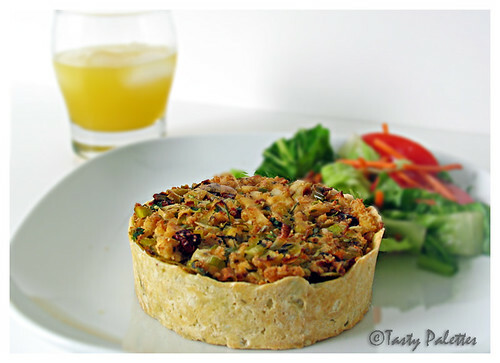 Allow this to cool and grind it with tamarind pulp, salt and 2 tbsp of chopped melon to a coarse paste. Mix this paste with chopped melon and leave it aside. Given time, the salt draws moisture from the melon. Finally, temper mustard seeds in a tsp of oil and add to the chutney. 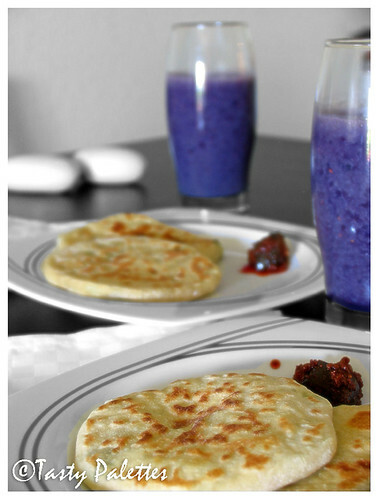 Rotis with dosakai chutney and tomato dal. 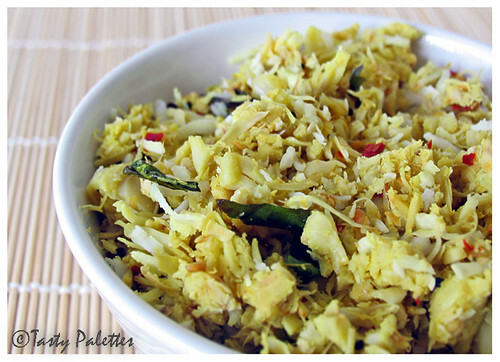 This is my entry for RCI- Andhra Cuisine by Latha of Masala Magic. Upma – A savior for those women who have no idea what to cook for dinner. Sometimes with onion and veges, while sometimes with just some seasonings, upma can pretty much be prepared with what we have in our pantry. But one thing that stops me from having upma as often as I would like are the carbs . Rice, vermicelli, beaten rice, tapioca – lots of carbs, but lots of taste. Quinoa, generally, considered to be a grain is actually the seed of a plant. They are an excellent source of complete protein – all 8 amino acids, which is essential for a vegetarian diet. Though it has received its long-deserved attention only recently , they can be substituted for almost any other grains in modern recipes. When cooked, they form a tail (which is the external germ of the seed), giving it an interesting look. More about quinoa – here. When I first came across quinoa, I used them in tabbouleh, salads, etc, as mentioned in the box. Noticing its firmer texture, I took a chance and made upma. I also tried cooking it in a pressure cooker than on stove-top. Not only was it protein-rich, it was fan-tas-tic. Its light, delicate taste was just enough to make it at least once a week. This upma rocks, you can have it any day. Pressure cook quinoa with 1 ¼ cups of water for 2 whistles. After the pressure in the cooker has subsided, fluff the quinoa with a fork. Now, that’s optional if you are in a hurry. In a kadai or skillet, take a tsp of oil, splutter mustard seeds. Add chana dal, urad dal, curry leaves, chillies and sauté till dal turns golden brown. Add onion, carrot and salt and cook the vegetables for 3 minutes. Onions should still retain their crunch. Add quinoa, mix and adjust the seasoning. Serve with a pickle. 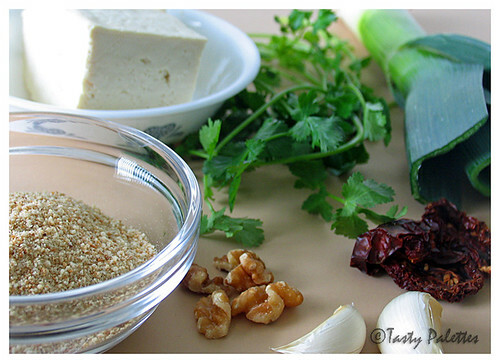 This my Q entry for Nupur’s A-Z of Indian Vegetables. I don’t get plantains so often in my city. I will have to drive for an hour to an Asian store to get ‘em. And naturally that doesn’t happen very often. But I had to visit the store this week (You should have guessed it by now. Yes, I was on a jackfruit hunt :-D) and I grabbed a few firm, big plantains. Even though we are not big fans of deep fried foods, this one is an exception. Even the sight of potato chips is tiring these days. The recipe is fairly simple and doesn’t require double frying. Slicing them paper thin is the only requisite to attain store-bought crunch. 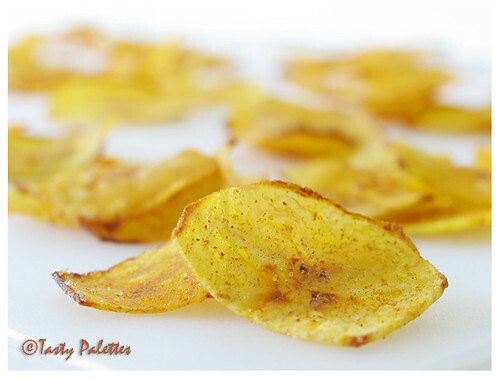 Slice plantains paper thin using a mandoline. Separate each slice before frying, else they will clump up and not crisp in the oil. 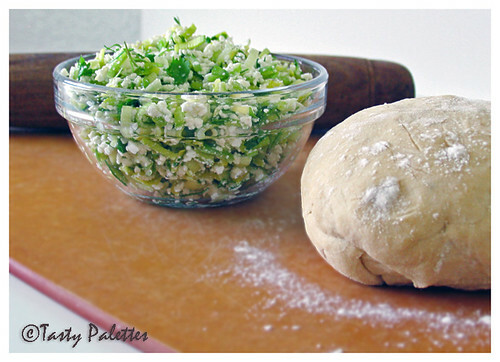 Mix dry powders together and keep it handy in a bowl. Take about 2 cups of oil in a skillet on a medium-high flame. Fry plantains in batches, taking care not to overcrowd the oil. As soon as one batch of chips come out of oil, season them with the above prepared spice mixture, while they are still hot. Allow them to cool and transfer to an airtight container. In the past, when medical facilities were limited, people sought for home remedies. They developed treatments, temporary or permanent, using simple, natural household ingredients. Not only are they inexpensive, they have no side effects too. 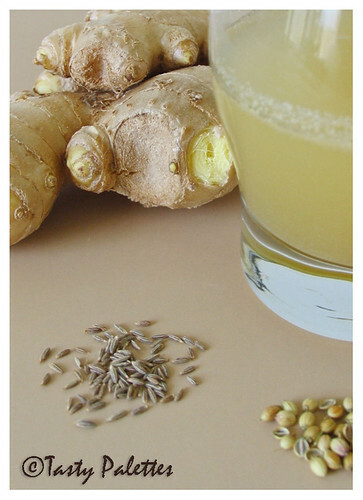 To me home remedies stand synonymous to grandmothers – simple, but wise. What was known to the older generation of India, has been passed down to younger generations, through word of mouth. These practices can still be found in modern households. I learnt this from my MIL and is quite useful in treating common stomach ailments like upset stomach, indigestion etc. Grind ginger, coriander seeds and cumin seeds together with 2 cups of water. Strain the liquid and add salt, sugar and lemon juice. Adjust ingredients according to your taste. Refrigerate this for 30 minutes. The top layer of the liquid will be clear while the chalky layer has deposited down under. Carefully strain the clear liquid and discard the murky liquid. I don’t peel the ginger as we strain the pulp. You can also serve them mixed with sparkling water. “Kulfeeeeee”, the kulfi man at 10 in the night. I still remember the gleam in my eyes when I watched the kulfi man slice the kulfi and handed ‘em to me in a banana leaf. I knew I was sure to fall sick after eating ice cream at 10 in the night, but the temptation was inescapable. 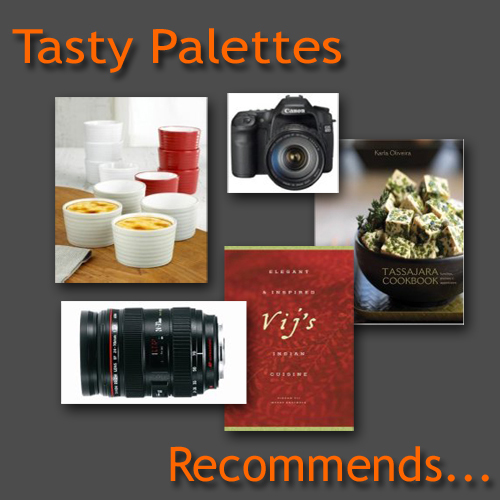 The texture, taste and scent – it was appealing to all my senses. Its been years since I had kulfi, and I no longer remember the exact taste and texture to recreate the recipe. 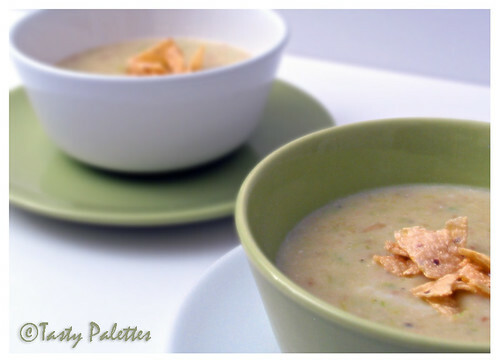 But this recipe tastes as good as the one I had in my childhood days (as far as I could remember) and is easy as a snap. Puree the mango. If using canned mango, reserve the juice. Mix puree, elaichi, saffron and pistachios. Add only half of the condensed milk. Taste the mixture and continue adding milk (and the juice, if using canned mango) until the desired sweetness is reached. The mixture should taste sweeter than you prefer as it will loose some of the sweetness after its frozen. Pour into popsicle/kulfi molds and freeze overnight. This is my entry for Barbara’s A Taste Of Yellow. Thanks Jai and Bee for letting me know about this event. 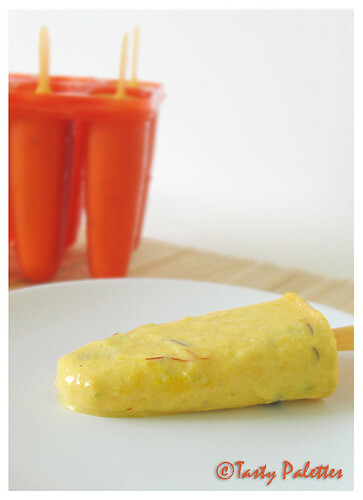 This is also my entry for A Fruit A Month – Mango by Deepa of Recipes and More.